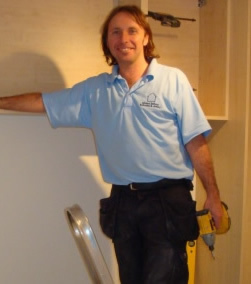 Over 25 years of craftsman ship and passion in designing and fitting dream bedrooms both in the UK and overseas. A passion for the work I do, creating dream bedrooms in all areas, whether it's suburban, rural or city living I can plan and design your wardrobes with you to suit all tastes along with room shapes and sizes, maximising your space, creating space you didn't realise you had and no unsightly gaps or large panels use to fill a space. Working in both old and new properties has provided me with vast experience of what will work in different types of properties, what will really enhance the look of your bedroom along with optimising on much valued storage space. I can provide options and solutions to keep everything clutter free and relaxing. There is no greater satisfaction or achievement than a job well done. Michael Anthony's reputation has been built on first class customer service and 100% satisfaction. It's always a pleasure to welcome new customers who can find out for themselves what our repeat customers are already saying. Work is completed on average within 2-3 consecutive days leaving you to enjoy the comfort of your new bedroom. All samples of colours, style and finishes can be viewed in your home exactly where they will be fitted. No false show room lighting just your lighting, to best ensure they will look exactly how you want them to look. High grade machinery ensures all work is within 0.001 millimetre, guaranteeing high quality and precision made wardrobes. Using top brands to compliment the high quality work such as Blum, Egger and Krono. We take pride in being a leading name in bespoke fitted wardrobes. Michael does a really fantastic job and makes sure you are happy with the process every step of the way to ensure it turns out just how you wanted. Fitted Bedrooms Manchester.